From Dryhead area, Bighorn Canyon, Montana. Typically these have bright orangish banding colors, and some of the best ones also have white and pink bands. Matrix color is often charcoal, light gray, whitish, orangish, or greenish. 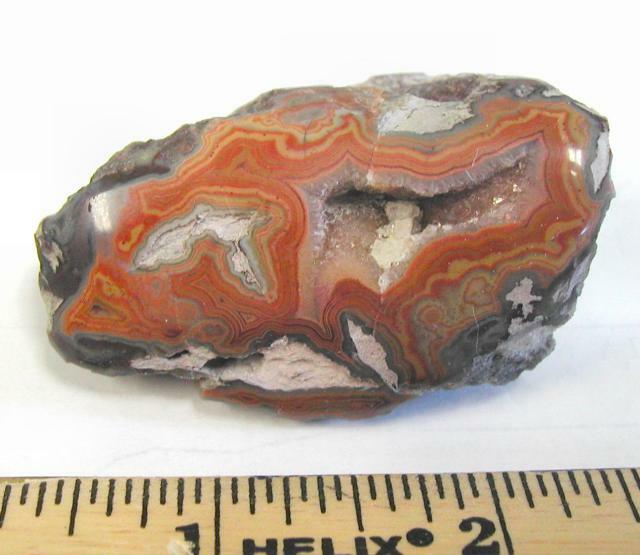 They may very well be geologically related to the Fairburn and Tepee Canyon agates in the Black Hills. These are no longer being actively mined. It is my understanding the claims have lapsed and the area is now part of a wild horse refuge, so it is unlikely any more will be coming out in the foreseeable future. 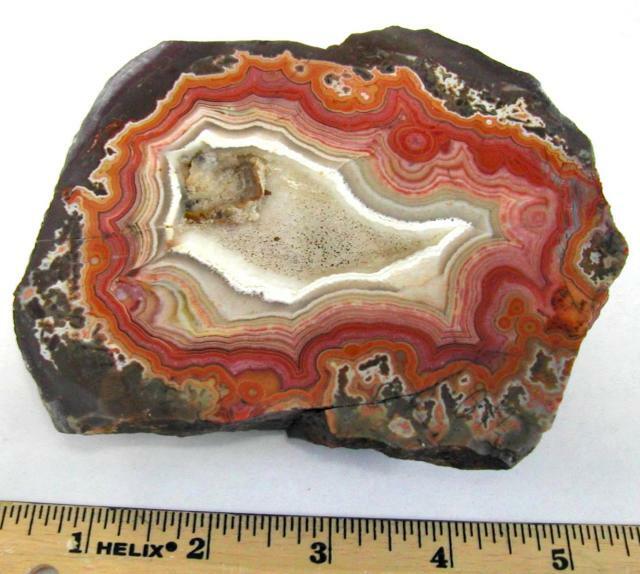 Minimum order of agates is $20.00. #ADRY1. A very fine specimen of Dryhead agate. Sawn but not polished. Approx. 5" x 4", and about 1" thick. Weighs just about 1 lb. $150.00. SOLD. #ADRY5. A nice small, faced (hand polished) agate. $12.00.